Starbucks has a long, long tradition of using tech to bring you into its coffee shops, and that will be truer than ever with the latest supersized Reserve Roastery location in Shanghai. 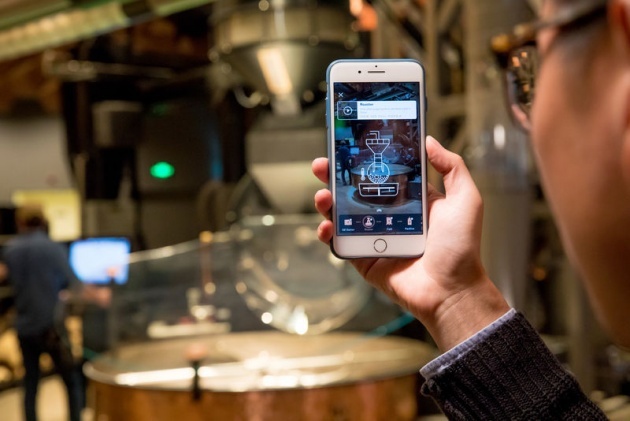 The beverage behemoth will use a mobile app to offer guided augmented reality tours of the coffee-making process when the restaurant opens on December 6th. Point your phone at equipment like the roaster or cask and you'll get an explanation of what happens as beans eventually turn into your venti latte. The chain is offering virtual badges for participating in the tour, and you'll get a "unique Roastery filter" to mark your trip. We're not sure who's excited to show that they've visited a Starbucks (even if it's a very elaborate one), but it at least means you'll have a virtual record of your trip.